Shin Se Kyung is known by the public since 1998 as a cover model of Seo Taiji’s solo album – Take Five when she was only 8 years old. As a young artist she also appeared in Ppo Ppo Ppo (“Kiss Kiss Kiss”) and in historical drama Toji (“Land”), Bride of Water God in 2017. Se Kyung gets a small role in “My Little Bridge” as Bo Eun’s (Moon Geun Young) best friend. Because her performance on My Litte Bridge is quite impressive, she is finally believed to be acting in a horror movie titled “Cinderella”. Then Se Kyung accepts the role of the younger version of Princess Cheonmyeong in the drama Queen Seondeok. In 2010 Shin Se Kyung starred in 7 episodes of “I’m Real: Shin Se Kyung” show, which showcases her daily holiday activities in Hawaii. Two top Korean artists Kim Rae Won and Shin Se Kyung play together in one drama. 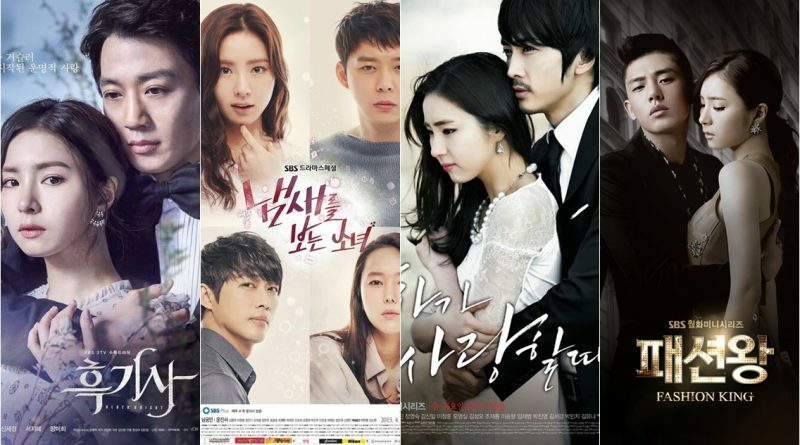 The drama, which premiered on December 6 2017, was one of the most awaited dramas, because the story is considered different from other dramas. ‘Black Knight’ focuses on the love story of men and women spanning 200 years. it is not known whether they are time travelers or eternal humans, but certainly this drama is quite curious. A true man who receives a destiny is dangerous for the woman he loves. Moon Soo Ho (Kim Rae Won) businessman who has a pure heart and challenges danger for the sake of her idol Jung Hae Ra (Shin Se Kyung). The woman is an agent in a travel company but never goes abroad. The Korean drama “The Girl Sees Smells” tells of a girl named Choi Eun-Seol who was cast by Shin Se-kyung where her father and her mother were killed after school by the killer “Bar Code”. He finally ran to save himself finally got out but was hit by a car. While there is also a man named Choi Moo-Gak who was played by Park Yoo-Chun who at that time his sister also had an accident whose name is the same that Choi Eun-Seol is played by Kim So-Hyun. They were both brought to the same hospital but the killer Bar Code when it was wrong to kill because he only remember the name on his school uniform only. After several years of Choi Eun-Sul (Shin Se-Kyung) her final self-awakening and He made her adopted son by a former policeman who handles his father’s case. He first realized he could see the smell, but also lost his memory and finally changed his name to Oh Cho-Rim. The ability to see the smell also brings Oh Cho-Rim and Choi Moo-Gak who is a policeman and his end solves many crime cases together. The drama tells the story of Han Tae Sang (Song Seung Heon) is a former gangster, but now a successful businessman. She has a cold blood and a tremendous boost. It helps him to achieve his current status, when he starts without anything. He then meets a young woman named Seo Mi Do (Shin Se Kyung). His personality reminds him of himself at his age. Han Tae Sang starts to feel the love for the first time in his life. The drama is about a young aspiring designer Kang Gul (Yoo Ah In) who has nothing and started fashion business as a vendor in the Dongdaemun market. He has never had a goal or dream for a bright future until she meets Lee Ga Young (Shin Se Kyung) who lost both her parents in an accident at a young age, and she grows into a determined, intelligent young woman with a natural talent for designing. And then they make a big hit in the fashion industry towards world-class designers. Jung Jae Hyuk (Lee Je Hoon) is a second generation chaebol for large companies that include construction, distribution, and fashion. Choi Anna (Kwon Yu Ri) is the person who comes to work under a top renowned international designer. ← Suzy, Seol Hyun, Jung Chae Yeon, and Kim Go Eun’s Secrets to Achieve A Beautiful Skin?